What area of your life is expanding? With a Jupiter House Transit you can expect growth and expansion in certain area(s) of your life. A little Astrology knowledge certainly helps you take advantage of any opportunities as they arise through out your life. Especially if you know when lucky Jupiter is on your side. It is also worthwhile mentioning care should also be taken not to overdo things during a Jupiter transit. Care must be taken with greed. Sometimes you do not want things expanding like your waistline if you are trying to control your weight. Have fun with your Jupiter transits but try and keep your feet on the ground at the same time. To find out where Jupiter is in your chart go to www.astro.com and enter your birth data. The transit of Jupiter in your first house is a time to think about what you want to achieve in your life? This is a good time to work on your self confidence but at the same time do not become too overbearing in your relationships. People are more likely to want to spend time with you and growth can be achieved through helping others. With a Jupiter house transit in your second house it is a good time to think about what you value in life. If material possessions or money is of value to you then this is the part of your life you can strive to grow. It can be a good time to invest in your future. You may need to restrain yourself from over buying things you do not really need. With a bit of restraint this can be a very productive time financially. When you experience a Jupiter third house it is a great time to communicate. People understand your ideas and you are more tolerant during this time. You are also more open and can talk about emotional as well as everyday matters. Your mind wants to expand and learn. Short distance travel and or learning in your local environment. Great time to do a short course at your local community college. Explore your immediate environment and talk to the neighbours. Contact with your siblings may also be beneficial during this transit. With Jupiter transiting the fourth house peace and security are important. Home, personal life, family, and the past are areas where improvement is now possible. It can be a good time to invest in real estate or buy a home. You may start re-decorating or expanding your present home. Security and comfort are more easily achieved during this transit. This can be a time when you gain more security as well as inner confidence. A Jupiter house transit in your fifth house is the time to express your creativity. This can be expressed through having more time and fun in your life with whatever gives you pleasure. Children, joy and romance are all areas for opportunities to develop and grow. Because you are more likely to be true to yourself it is a wonderful time to attract a truly authentic relationship. You may even encounter relationships with people from different cultures. Freedom of self expression is important for your personal growth and increased insight. As Jupiter transits through the sixth house it is a good time to focus on our health, everyday routine and your day to day work. Your working life may feel more fulfilling and enjoyable during this period. You may also find your work situations improve, perhaps more pay or better working conditions. Although you may take on added responsibility you are more likely to gain a sense of achievement. Your superiors are also more likely to notice your enthusiastic approach and reward you for your efforts. Be careful not to overindulge in sweet or fatty food if you are prone to gaining weight. With a Jupiter house transit through the seventh house one on one encounters take priority. This includes all kinds of partnerships, marriage as well as business. You will want people around you now so you can develop and grow. This is also a good time if you need to attend court. Marriages have an opportunity to be more fulfilling during this time. With Jupiter transiting through the eighth house you can benefit through other people by sharing resources. This is the time you may receive an inheritance or benefit from other people. You may decide to pool your resources together in a business or marriage relationship. If you need to borrow money from the bank your loan has a greater chance of being approved. Transformation is likely now as your own psychological growth can benefit through this healing time. You may also want to explore the occult or spiritual matters during this transit. Jupiter feels at home in this house. As Jupiter transits the your ninth house it wants to explore what life has to offer. Travel, teaching and learning are a priority. You want to broaden your horizons and explore what life has to offer. If you write this an excellent time to get your thoughts out to the public. You want to experience life not just believe but acquire knowledge about world. With a Jupiter house transit through your tenth house career and your public life are likely to be a focus. You may receive a promotion or your public image may become more defined. You will generally feel more confident and will enjoy the public recognition that comes at this time - just take care that you do not become too over bearing. Travel could also be indicated in connection with your work or you may have an increase in dealing with foreign people. There is also a possibility that you may change careers during this transit. With the transit of Jupiter in your eleventh house your hopes, wishes and friendships including those involved in group activities are all areas that can be highlighted during this time. It is important to be with people now and not just one person but groups of people. Through working in groups you will learn more about yourself. Friends are likely to be supportive and they will also benefit from your friendship. This is the time to think outside the square – try and visualise what you really want your life to look like. 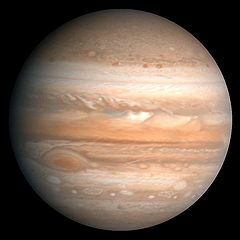 A Jupiter house transit through your twelfth house may find you wanting to explore and learn more about the spiritual dimension of life. You have the potential to gain insight into yourself and deal with any negative parts that need transforming. You are compassionate and have empathy for other people that are suffering. Spiritual matters, the occult, wisdom, meditation are some of the main features that are on your path during this transit.